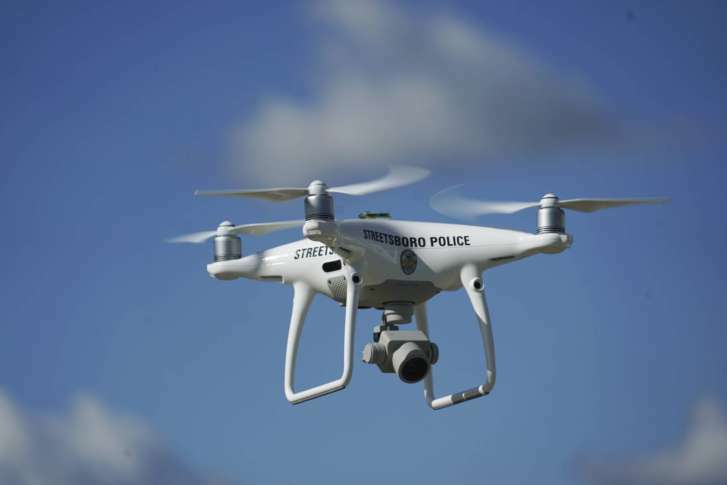 Amid concerns about privacy, Fairfax County supervisors Tuesday put off plans to expand the use of drones by police and other first responders in the county. WASHINGTON — Amid concerns about privacy, Fairfax County supervisors Tuesday put off plans to expand the use of drones by police and other first responders in the county. The Board of Supervisors unanimously voted to defer approval of a drone policy manual and the purchase of six to eight drones that would cost about $3,500 each until there is more chance for public input. While the broad strokes of the potential use of drones through the police, fire and emergency management departments had been discussed at a committee meeting in January, the full planned policy was only revealed last week shortly before the board was asked to approve it. “I have subsequently contacted organizations that I thought would have opinions on this. They were not even aware we were going to hear it today,” Supervisor John Foust said Tuesday. Public Safety Committee Chairman John Cook hopes the county can get more public input this fall so the issue could be revisited in December, with potential tweaks to further protect people’s privacy. He suggested more conversations with privacy advocates, homeowners’ associations and civic groups. “While the draft policy says that everything will be done in accordance with the law, the law is in flux,” Cook said. He pointed to a recent U.S. Supreme Court ruling finding that police generally need a warrant to get cellphone location data and a Supreme Court of Virginia ruling that kept alive a challenge to automated license plate readers. “It’s already the law that if there is a legal and proper police stop or surveillance and then you see something, that you can usually use what you see to do further action. We turn a camera on as it flies over somebody’s backyard and it picks up something, that picture’s probably going to be enough for a judge to issue a warrant and then the police can go into somebody’s house, and so this is serious,” Cook said. The draft policy has already been revised multiple times in an internal process that took months longer than county staff had hoped due to the many agencies involved. The county expects to apply for Federal Aviation Administration authority to operate a drone program once the policies are approved. Under FAA rules, the drones could not fly higher than 400 feet above the ground and would need to navigate around the numerous areas with restricted airspace in the county, including military locations and Dulles Airport. Drone pilots would be trained, including on which 60 percent of the county has restricted airspace. The drones would not replace the police department’s helicopter. Instead, they would be used as an additional tool for search and rescue, surveying crash scenes or disaster damage, fire and explosives response, hazardous material spill tracking and planning, other investigations, deer hunting information, infrastructure assessment, and even cool county photos or geospatial data collection. The draft policy promises cameras would only be turned on when needed and video would usually be streamed live to the team piloting the drone but not necessarily stored in a long-term database. In addition to regular cameras, the drones could have infrared or other sensors or be fitted to carry something to a hard-to-reach area like a life preserver, medication or defibrillator. Loudoun County is among Virginia jurisdictions already using drones for search and rescue and similar missions. The Virginia Department of Emergency Management has a drone team always ready to deploy to incidents, and the Virginia Department of Transportation and Virginia State Police are analyzing opportunities to use drones to speed up crash reconstruction efforts that can keep highways closed for hours or provide information to drivers sooner about stopped traffic. The draft Fairfax County policy promises public education about the program including demonstrations, a website and classes through the Fairfax County Park Authority that include hands-on use of the drones. The county would also provide notifications to residents in an area where a drone is being used. The county’s drones would not be allowed “to conduct random surveillance activities,” target a person based on race, ethnicity, gender or similar characteristics, harass or intimidate anyone, or to conduct personal business. “Although the potential benefits and enhanced capabilities are substantial, it is acknowledged that concerns exist that UAS may be misused or abused, particularly by law enforcement agencies. UAS operators, observers, and support staff shall ensure the protection of individuals’ civil rights, civil liberties and reasonable expectations of privacy in any UAS deployment,” the draft policy said. Cameras would be directed away from occupied buildings and trained on the precise area that is the focus of the mission, the policy said. Decisions on whether to use a drone or not would be based on whether the mission is necessary, within the capabilities of the county, is legal and safe given the weather, whether a search warrant has been obtained if required and the proximity to any restricted airspace. Some video could be available to the public after a mission through a Freedom of Information Act request. In addition to the cost of the drones, which is expected to be absorbed by existing department budgets, the county expects annual insurance costs for the program would be between $5,000 and $10,000.